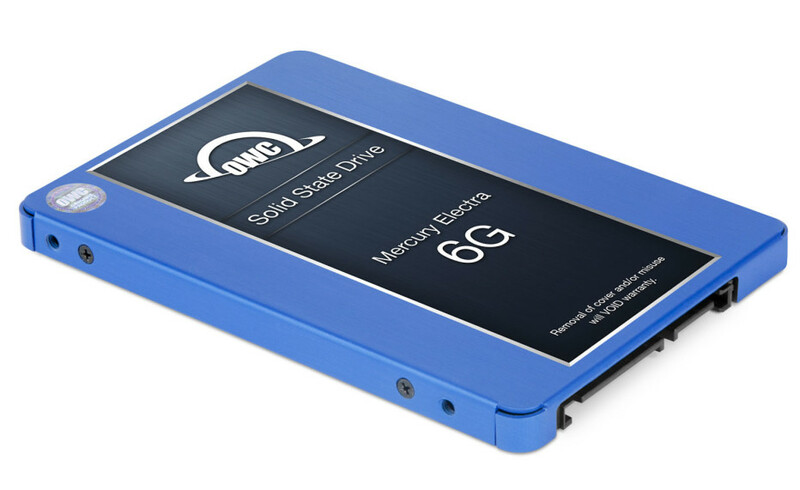 OWC has announced an all new Mercury Electra MAX 6G solid-state drive that comes with 2 TB of capacity, which makes it the SSD with the most capacity ever offered by OWC. The new 2 TB model is a 2.5-inch device that supports SATA 3.0 and that offers high performance and excellent reliability. The new SSD reaches up to 490 MB/sec of read speed and up to 471 MB/sec of write speed and is fully compatible with the older SATA 1.0 and SATA 2.0 standards. The drive uses MLC NAND flash memory for better performance and reliability and a number of advanced technologies that improve the performance and the reliability of the drive. The new SSD has global wear-leveling algorithms that automatically distribute data evenly for increased SSD lifespan, Static DataRefresh technology for prevention of data corruption, hardware error-correcting code and advanced security protocols including 128-bit/256-bit AES full-disk encryption. The drive also comes with a 3-year OWC SSD limited warranty. The new OWC Mercury Electra MAX 6G 2 TB SSD will be available later this month at OWC resellers for USD 799.99.